Koh Samui is an island situated in gulf of Thailand. It's one of the 'done it' places. By that I mean when travelers travel and talk about their experience's they usually express themselves saying 'done it'. 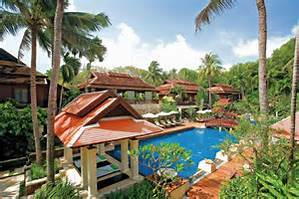 So if your travelling Thailand in 2016, keep reading learn about Samui, one of the most exciting islands in Thailand. And find out more about cheap accommodation and vacation rentals on this island in 2016. Being one of the largest of Thailand's islands (the third biggest to be precise) - it has naturally been taken as part of the tourist scene. It is approximately 228.7 km2 miles squared. And has a population of 63000 lovely Thai people. It's hard to believe that an island like this has been taken over by tourists. Treat it with respect and enjoy. 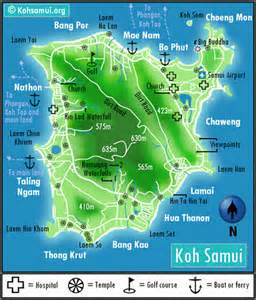 Over 1000000 tourists visit Ko Samui each year, bringing in a huge amount of money to the province of Surrathani. These vacation rentals will surely make you want to stay longer. In the middle of the island is a huge mountain which is virtually un-inhabitable. The name of the mountain is Khao Pom, and the peak of the mountain reaches up to 635m. At the lowest part of the mountain is a road which connects both sides, this runs for 51km and connects most of Samui. Top 5 Amazing Beaches on Ko Samui. There are a number of beautiful sandy white beaches that can cater for everybody's need. 2. Lamai Beach - situated 20 minutes away from Chaweng - if you need to relax this is the place to be. Lots of calm waters ideal for surfing and options to go snorkelling around the reef. The downside to this location is that nearby the beach are go-go bars, something which families don't want to see. A lovely restaurant in Lamai Beach that is a must is the Baobab Restaurant (part of the Baobab resort). With dishes to suit everyone - western and thai dishes and fresh ingredients nothing can beat it. When I was in Lamai, I visited here on a number of occasions and my favourite dish was the Khap Phau Kai a traditional Thai dish. If you want a pizza, they have that to :) The staff were lovely and respectful and spoke very good English. And the location is on the beach so you can easily go for a little walk whilst waiting for your favourite dishes. 3. 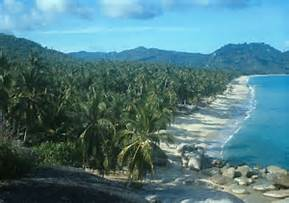 Choeng Mon Beach - Good to relax, very secluded and romantic. Located a 20 minute drive from Chaweng. Things to do include visiting a small Thai Village nearby and building a sandcastle. 4. Thongtakian - Another secluded beach, can't see it from the road so you really need to know where you are going (or GPS it). This island in Samui is great for snorkeling in Crystal clear water. 5. Maenam Beach - Another great beach on Ko Samui. This is a massive stretch of beach running for almost 7 kilometers. This makes the beach ideal for watersports like windsurfing. Not the busiest beach on Samui. You can rent beach huts here for reasonable prices - whilst they still offer the 5 star resorts. Thailand has many cheap hotels on their islands. You just need to look a little further online and you will find cheap accommodation for all of Thailand even for here, on this amazing island we call Kho Samui. This resort is absolutely amazing with private villa's and rooms to die for it's definitely one for the family. Its situated on a hill top at the end of Lamai Bay a popular tourist beach with many things to do. There are over 78 villa's all with pools or infinity pools. 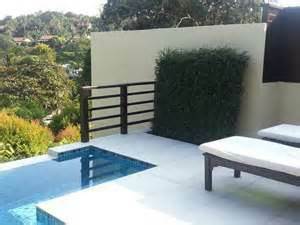 The pools have different areas such as the ocean pool or garden pool. All rooms have flat screen and free Wi-Fi, and décor to suit the most neediest tourists. They even have bath tubs, what more could you ask for? Another top rated family resort safe for the kiddies. The Tongsai Bay Resort is located on the north-eastern part of Koh Samui. It has over 83 residential properties available for its customers, these include small cottages, villas and suites. The location is very good as its only a short drive from Koh Samui Airport - also very near Chaweng Beach. They have beach front lets and villas with pools and it is within walking distance of Choeng Mon Beach. Again another top rated hotel makes it into this small list. Chaweng Garden Beach Resort, as you may have guessed, is located right in the heart of Chaweng Beach - if you really want a beach holiday then I'd suggest this. There's many accomadation styles offered here, including standard hotel suites and garden bunglalows situated within a stones throw from the beach - that is, of course, if you can throw a stone 50m's! We stayed here for 4 nights of our holiday and absolutely loved it. We were greeted by a very friendly receptionist, a cold drink and towel which was lovely after travelling most of the day.